Home Care Nurse Checking A Senior Mans Lungs With A Stethoscope Against His Back. Royalty Free Fotografie A Reklamní Fotografie. Image 65447316. 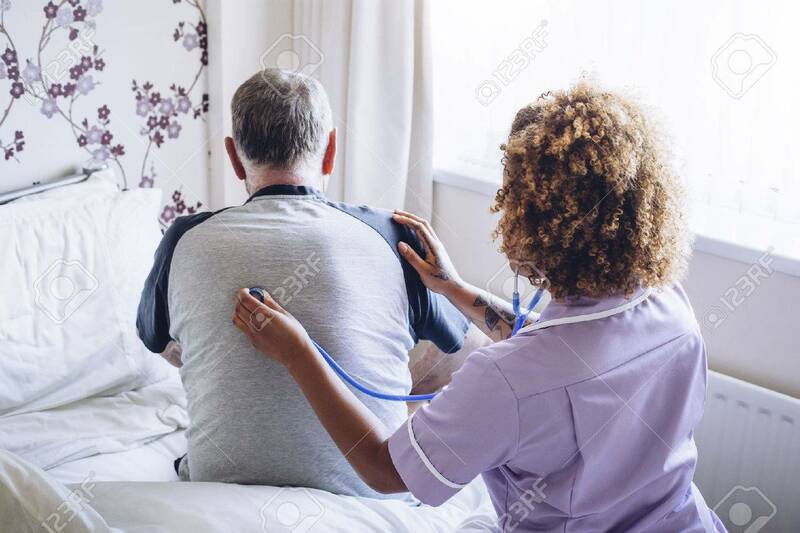 Reklamní fotografie - Home care nurse checking a senior mans lungs with a stethoscope against his back. Home care nurse checking a senior mans lungs with a stethoscope against his back.